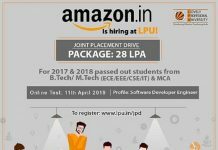 In fact, prestigious companies from multiple sectors including consultancy, banking, marketing, finance, engineering, fashion, e-commerce and many other keep on recruiting LPU students. Market leader in the Paints industry, Asian Paints has selected MBA students of Lovely Professional University at annual salary packages of Rs 4.67Lakh each. The selected students will join their duties even before the declaration of their final semester exam results in the month of June 2015. MBA (Marketing) students were eligible to appear for the interview. 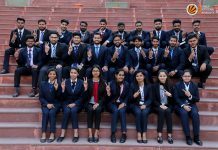 The students selected as Territorial Sales Officers will join their duties pan India. LPU Director General Er HR Singla congratulated the successful students and advised them to keep working hard in their careers ahead. Very happy at being placed with a leading company, MBA students Pankaj Attri, Ankush Tandup, Amanjit Singh, Pranay Sahni and Vikrant Chaudhary credited this all to the LPU study environment and the sincere guidance of their teachers. 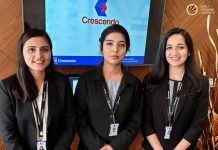 In fact, prestigious companies from multiple sectors including consultancy, banking, marketing, finance, engineering, fashion, e-commerce and many other keep on recruiting LPU students as per their needs. Asian Paints Ltd is an Indian chemicals company headquartered in Mumbai that manufactures paints for decorative and industrial use. With almost 73 years of innovation in paint industry, it has emerged as India’s largest and Asia’s third largest paint company. Asian Paints operates in 17 countries and has 23 paint manufacturing facilities in the world, servicing consumers in over 65 countries. Asian Paints is the only paint company to receive a coveted recognition from the Forbes Global magazine, USA.